Pacific Asian Enterprises (PAE) invites you to visit us in person at the Palm Beach Boat Show Thursday through Sunday. We’ll be displaying the Nordhavn 59 Coastal Pilot alongside the custom Nordhavn 90 Zembra. The Nordhavn exhibit is located on Ramp 1, Slips 116 and 117. Thinking about purchasing a Nordhavn? There's no better way to aid in your research than climbing aboard one to get a feel for the construction, layout, visibility, storage space, headroom, fit, finish and interior aesthetics – some of the key elements that make Nordhavns so desirable. Although Pacific Asian Enterprises (PAE) boasts a number of staff who are decades-long stewards of Nordhavns with countless hours and miles spent cruising on our boats, not all employees get the chance to come out from behind their desks to enjoy the fruits of their labor. Nordhavns have graced the covers of many, many magazines, and now the latest covergirl is Nordhavn 46 Starlet featured on the front of the latest issue of Soundings magazine. The photo, snapped by owner Jennifer Ullman, perfectly identifies with the issue’s spotlight story on Ocean crossing couples. With a Nordhavn, there is no end to the interesting stories that come from one-of-a-kind adventures. Perhaps that’s why so many owners find themselves moonlighting as authors. The latest to pen his own tome is Robert Tisch, a two-time Nordhavn owner. Tisch’s book Crossing the Wild Pacific recounts his and wife, Rebecca’s, travels on their second Nordhavn, a 68 called Argo. 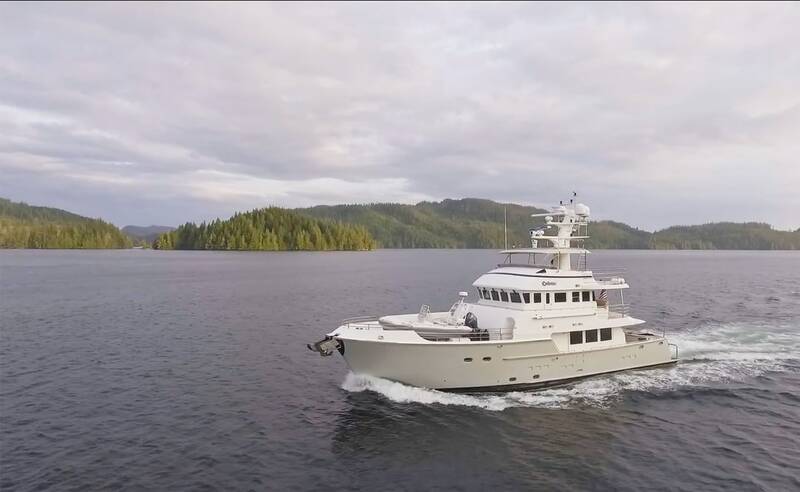 Potential buyers looking to sample a Nordhavn prior to buying have another option available to them: Nordhavn 76 Cadenza is available for charter in the Pacific Northwest.